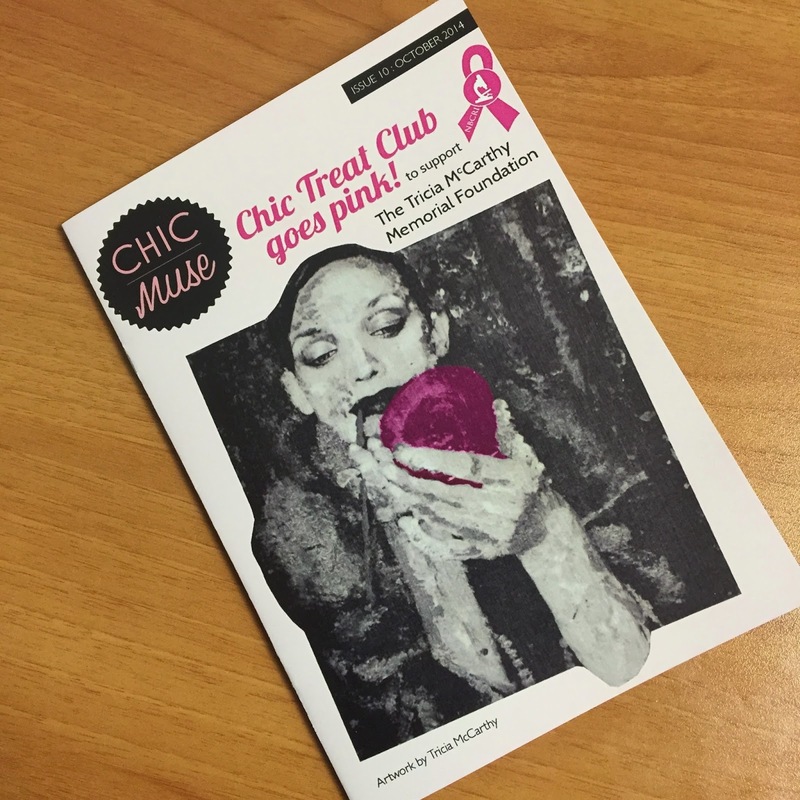 I've been looking forward to my Chic Treat Club box more this month than previous months, because this month, the Chic Treat Crew have collaborated with Triona McCarthy to bring a pink themed Chic Treat collab wherein €2 from each box is being donated to the National Breast Cancer Research Institute. I've spoken before about my support of anything that raises money or awareness of any form of cancer, particularly breast cancer. In my lifetime, I have lost an aunt and my grandmother to cancer, and I have personally known some amazing women that, despite their best efforts to fight it, lost the cancer battle. It is my greatest fear and I fully take my hat off to the Chic Treat Crew for getting behind and supporting a cause so close to so many hearts, and painfully close to my own. Triona lost her sister Tricia to cancer a few years back- I remember reading a particularly poignant article a few years back that made me sit back and take stock and has stayed in my mind even through the passage of time. Triona also wrote a beautiful editorial in this month's Chic Muse with a lovely little poem that just my eyes go all moist and hazy. Enough of the emosh, on to the unboxing! 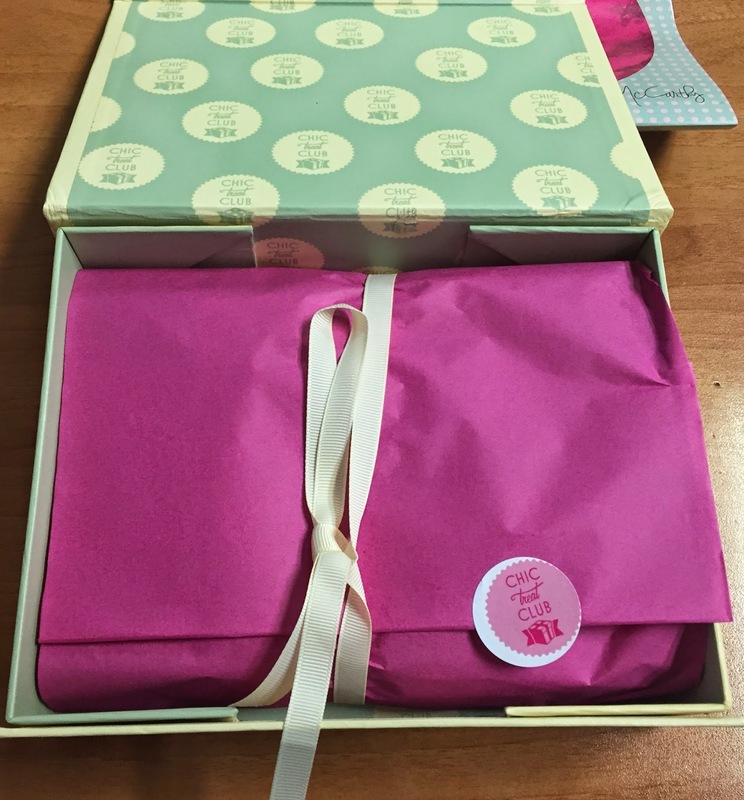 I was very pleased when the box landed on my desk this afternoon- I love the usual lemon yellow and duck egg blue decor but the fact that the Chic Treat Crew decided to embrace the pink this month with a lovely sleeve for the box with the NBCRI was a lovely touch. The stuffing inside the box was pink and all the goodies were wrapped in pink paper and pink ribbons- just so much lovely pinkness. I was also touched to see that the artwork in Chic Muse and on the box were illustrations from Triona's sister Tricia. 1. Yonka Cleansing Milk 75ml (full size- RRP €30). I could not be happier to see this included in the box- I've loved the YonKa goodies that I have tried so far and I am always itching to try more so I will give this a very loving home and enjoy using it. I've had a cheeky sniff already and it smells like fluffy heaven clouds in a bottle (or how I imagine they would smell!). Cannot wait to use this to take my makeup off! 2. Roger & Gallet Body Moisturiser in Bois D'Orange. This is a deluxe sample size with a very decent 50ml (RRP €15) of delicious invigorating sorbet body cream. This also smells amazing, I cannot wait to lather this all over myself at the earliest opportunity and just bask in the loveliness of the smell. My fave Roger & Gallet scent- just delicious! 3. NYX Powder Blush in Rose Garden (full size, €7.49) - I love my NYX Powder Blushes, they are a huge hit of mine and one of my most used and loved products and one of a small handful of products that I actually repurchase time and time again. I've already done a show and tell on the blog before with pics and swatches so if that's something you might be interested in, click HERE. In my box, I received Rose Garden which is a gorgeous sparkly pink colour. I'm chuffed to try this one out because I did not have it in my collection yet! Delighted to see this- again, another amazing product and personal favourite of mine. 4. 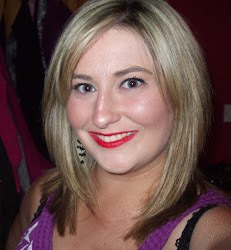 Wet n Wild Mega Last Lipstick in Think Pink (full size, €2.99). Ah my heart skipped another little beat when I saw this lipstick in my box because these lipsticks are amongst my fave products from one of my fave budget brands. Because I have already raved about my love for these lipsticks in this post, I cannot say much more other than to reiterate how much I love these, how happy and willing I am to adopt another, and how I will give this lipstick a good home. Again, chuffed to bits that despite the fact that I now own 7 of these beautiful lippies, Think Pink was not one but was the next one of my wishlist- it's like I ACTUALLY handpicked all these products myself! 5. Lastly but not leastly is THAT Purederm Exfoliating Foot Mask (RRP €3.99) that I have searched high and low for for months- I don't know how many Penneys and different pharmacies I tried, I once found this in Sam McCauleys but have not found it since- I'm delirah to see this. I hate feet, and I kind of hate the way this makes me shed skin like a snack, but I also kind of love that about it because it's painless and effective. A lovely little selection this month I am sure you will agree, I'm absolutely delighted with the cross section of products in the box- from skincare, bodycare, foot care and cosmetics- all amazing brands, colours and a whopping four full size and one deluxe sample products. Again, huge kudos and karma points for the Chic Treat Crew for getting behind and supporting, in my opinion, the worthiest of causes, and bravo to Triona for all her work in honouring the memory of her sister Tricia, who I am only sure is smiling down on her from heaven today. 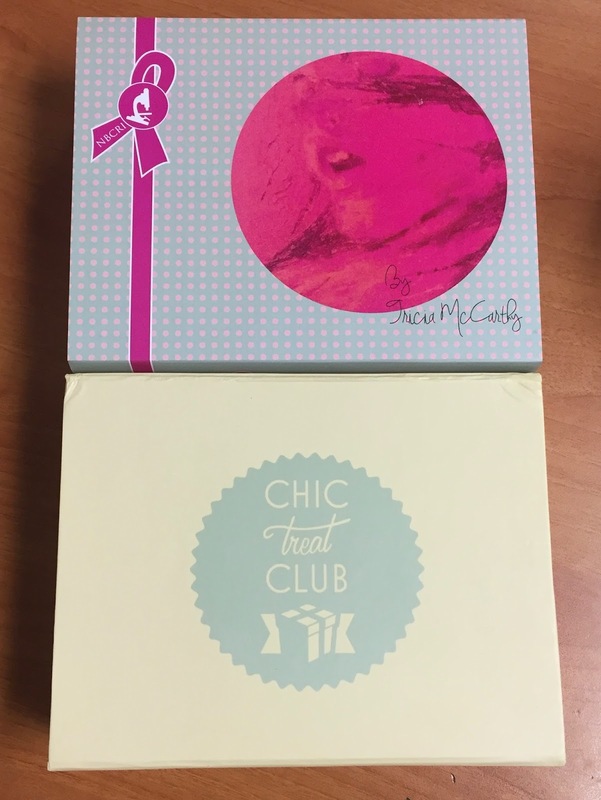 Have you gotten your Chic Treat Club boxes yet? What did you think of yours? Such a lovely box this month am raging I hadn't signed up!